I am a big, big fan of opening your checkbook to someone you trust. I mean literally. This means that they would have full access to every penny you spend. I’m convinced that one of the greatest lies that our culture teaches us is that money is a totally private matter that is between me and God. Jesus didn’t talk about money that way. For something that can be so threatening to the Christian faith, we need to be intentionally counter-cultural and “open our checkbook” to someone that we trust and give them the freedom to speak into this area of our lives. Wow. I have to admit, this seems pretty radical. Yet, when I turn to the Scriptures, I'm reminded of the radical nature of community in the early church. Acts 4:34 says, "There was not a needy person among them ... proceeds were laid at the apostles feet and distributed to each as any had need." How do we live like that in today's culture? Perhaps Todd's idea of financial accountability is a good place to start. Practically, Todd also mentions Mint to help people deal with their debt. 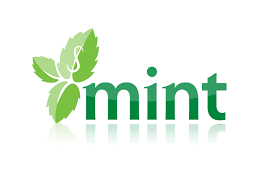 Mint is described as a “fresh, intelligent online money management company.” Basically, you pull all your accounts (including credit cards!) into your secure account and it gives you up to date balances on all these accounts. But Todd says the best part is that you categorize your transactions and it gives you a beautiful pie chart of your spending per category for a time period of your choosing. In addition, you can access your account from anywhere. Whatever methods we use to get out of debt, let's do it together for the glory of God!